Stan Lee was a comic-book writer, editor, publisher, and icon of the Marvel Universe. He was editor-in-chief of Marvel Comics, and later its publisher and chairman, leading its expansion from a small division of a publishing house to a large multimedia corporation. Unfortunately, Stan Lee passed away on the 12th November, 2018, at the age of 95. Although he has now passed, his work shall not be forgotten, and his legacy will continue to live on through Marvel. 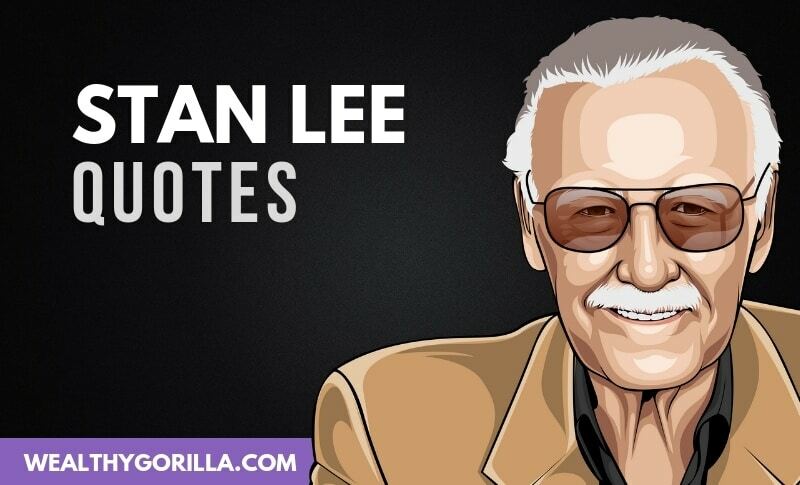 Thanks for checking out this collection of the best Stan Lee quotes. Don’t forge to share them on social media. Which are your favorite Stan Lee quotes? Leave a comment below. I like this one “Life is never completely without its challenges”. # 28 means a lot of selfbeing ,relates to everyone.